Take control of your data with Microsoft Access relational database software training at National Business Training. Our courses will teach you basic to advanced features of Access. Whether you are new to Access or an advanced user, this training will cover what you need to know as efficiently as possible. 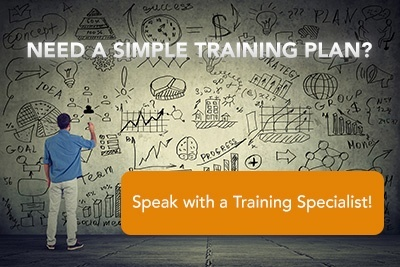 National Business Training offers world-class training for several versions, including 2016, 2013, 2010, 2007 and earlier. And, of course, all classes are delivered by one of our Microsoft Certified Trainers. Microsoft Access training available via live online classes, at our facility in Raleigh-Durham, NC, and on-site training throughout North Carolina including Fayetteville, Wilmington, Charlotte, Greenville/New Bern, Greensboro, Jacksonville, and Winston-Salem. Learn to exchange data with other applications, automate business processes by using VBA code, and secure and share databases with Access 2010. Learn how to use Access 2010 to manage your data, including creating a new database, constructing tables, designing forms and reports, and more. Learn advanced Access features such as, database management, advanced form design, packaging a database, encrypting a database, and more. In this 3-day class students will learn to unleash the programming power in Microsoft Access by using Visual Basic for Application (VBA). Learn how to use Access 2013 to manage data, including creating a new database, constructing tables, designing forms and reports, and more. Learn advanced Access 2013 features such as database management, advanced form design, packaging a database, encrypting a database, and more. In this introductory Visual Basic for Applications (VBA) training course, you will learn how to manipulate objects in Access 2013 with VBA. Students learn the Visual Basic for Applications language as well as the Access classes and objects needed to create VBA scripts to automate Access. Learn to use Access 2016 to manage data, including creating a new database; constructing tables; designing forms and reports; and more. Add to your Access education in order to provide yourself with marketable job skills. This course builds on the skills obtained in Access 2016 – Part 1.